Two-thirds of the way through a commanding performance that served as her introduction to the community, Jena Jones asked an audience to close their eyes and listen as she tells the story of two children. Recently installed as Director of Muscogee County’s Dept. of Family and Children Services, Jones held her 100-plus audience rapt as she introduced two siblings—the boy Malachi and girl Susie Mae—whose mother smoked weed and snorted coke all day then told the state she couldn’t take care of her kids. Jones acknowledged it was a heavy story to drop before 10 a.m. on the eyes-back- open crowd. “I did that to show you the seriousness of the work we show up to do every day,” she explains. 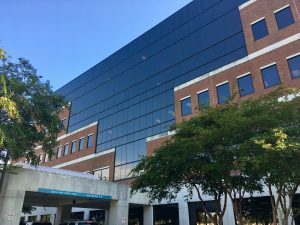 Billed on Facebook events as “Meet the New DFCS Director,” guests mingled over coffee, juice (apple and orange), and delicious donuts, inside the state agency’s glass-and-brick tower, tucked between the Piedmont Columbus Regional complex and Talbotton Road. She then called on new City Councilman John House (citywide Dist. 10), who admitted, “We’re very worried right now,” following a recent presentation by Jones before the council regarding the steep challenges the city’s DFCS staff faces. Everyone that stood for an introduction voiced strong praise for Jones work done during her time as interim director. These relationships include nonprofit groups present at the meting, including Chattahoochee CASA (which provides legal help and representation to children caught in the system) and Treehouse, whose efforts on the front-line of this fight create the tragic need to have a sexual-assault nurse examiner on staff. 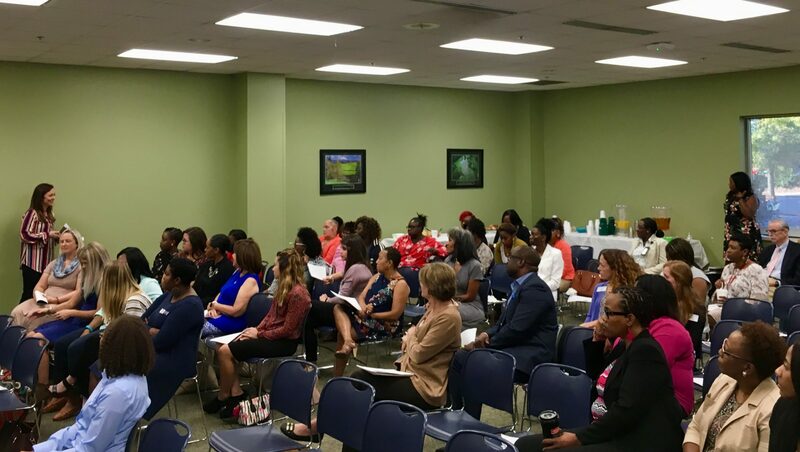 Jones provided the crowd numbers of 441 children currently in foster care in Muscogee County, the fifth-highest rate in the state. However, she was proud of local “Yes We KIN” approach that puts Columbus as best in Georgia for placement within family at 70%. She continued to note there are currently 77 foster homes registered in Muscogee, with headway on plans to push that total above 100. 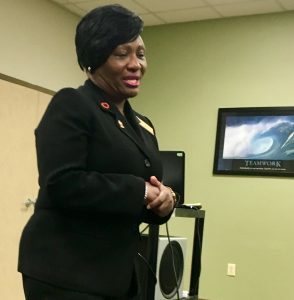 With DFCS for 16 years, Jones comes to Columbus after a five-year run as director in Crisp and Dooly counties in her native southeast Georgia. She speaks warmly of her childhood being raised by aunts and uncles all living as neighbors with her four brothers—and with their very young mother, so young they didn’t know she was mama until much older. 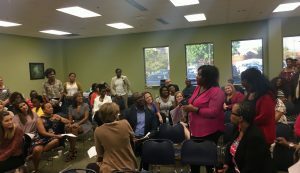 The topic then switched from Jones’ “Blueprint for Change” to a presentation on the new Georgia State of Hope initiative that invites community groups to become part of the Hope Ecosystem—a network for building partnerships, sharing ideas and accessing resources. 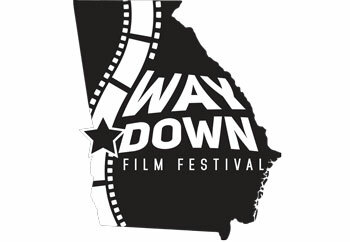 The Georgia State of Hope effort would assist Jones’ mission to avoid forcing children into the foster-care system with alternative solutions tailored to them.